QUESTION: During a stoppage of play, a coach calls the referee over to the bench and attempts to question the ruling of the officials by utilizing an electronic device. The team is assessed a bench minor for an equipment violation according to the rule. While the bench minor penalty is still being served, a team official now starts verbally abusing the referee. What penalty should be assessed to the coach? ANSWER: A Game Misconduct Penalty is assessed to the team official verbally abusing the referee. Rule References 308(b), 308(c).and 601(e.1). 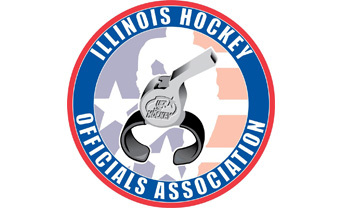 Even though the actual bench minor penalty is assessed under the electronic equipment rule, the fact the rule was applied because a team official was challenging or disputing a decision by the official indicates that this bench minor penalty also falls under the unsportsmanlike conduct. Any subsequent continuation of this behavior during the same incident would result in following the proper penalty progression.